Canyon Creek Design Build is a competitive General Contractor, that also has accounts with all major suppliers. Since we are a Displaying Dealer, with an impressive Showroom, we purchase products at a lower cost than Contractor that are not displaying dealers. We also offer Interest Free financing on all products and services. With our state of the art showroom, we offer a complete suite of construction services, as well as 1500 sf of displays of Wood Floor, Carpet, Stone, Tile, Glass, Granite Counter Tops and Custom Cabinets We offer full Remodeling Services. Remodeling your home is an intense and personal experience. At Capital State, we fully understand that. We are ready to share in the experience and help you navigate through it. Mend Services is an Austin, Texas based service firm committed to providing high quality swift construction projects and maintenance work to discerning clients. We also provide specialty trade services to Austin’s premier builders and general contractors through our team of skilled craftspeople. We believe that a successful project, regardless of size, requires strategic planning, conscientious management, and highly skilled professionals. Our team of dedicated tradespeople and network of reliable vendors delivers you an exceptionally finished product. Our people take pride in their work. We attract, train and continually develop the best craftspeople in town. By providing our employees with a career, instead of a job, we ensure that our high standards for quality and professionalism shine through. Our background checked, full-time employees receive fair wages and benefits and continuous opportunities for advancement. They are our most valuable asset and we are successful because of them. Mend Services maintains a focus on being a key member to the community by giving back through charitable donations and outreach programs. We are committed to making Austin better every day. We have a commitment to excellence, and our company thrives on the same principle. No job is too small, whether it be bathrooms, living rooms, or patio work-- we are here to bring your vision to life! 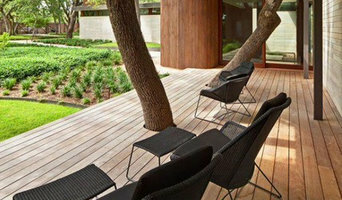 Masterpiece Building of Austin offers full design and construction services to complete any remodeling need. Our specialties include residential design, green building, new construction and more! Double R Builders brings together the best of home building. It is their mission to bring fine design and quality energy sensitive construction at the best price possible to every home they build. Austin's Home Renovation is a leading, family owned & operated, remodeling firm. Through experience and a dedicated eye for detail, Jose Monero can make your dream home a reality. 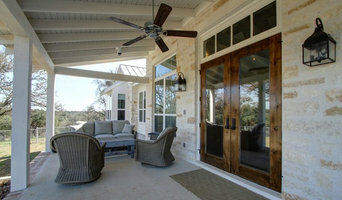 We are a highly detailed custom home builder, remodeler, and renovation company in Austin, Texas. We can help you with lenders, realtors, architects, and anything else you may need. Revent Remodeling and Construction is made up of a team of professionals, family men, who are known for being trustworthy, reliable, highly-skilled, and approachable. I have a commitment to excellence, and my company thrives on the same principle. No job is too small, whether it be bathrooms, living rooms, or patio work-- we do it all. We are locally owned and operated and has been doing business in Texas for 20+ years. We strive to always give fair, competitive prices and will not sacrifice quality or short-cut the job. Simply Sold, we’ve perfected the process of general contracting. We walk through your project and supply you with our own trusted subcontractors so that you can avoid the hassle of finding and managing your own. We provide you with an on-site project manager, who coordinates all of the work being done on your project. With over 1,000 enhanced homes under our tool belt, Simply Sold brings a unique wealth of knowledge and expertise to every project. We know how hard it can be to acquire the know-how and put all the pieces together by yourself, especially if you’ve never worked on a big home improvement project before. That’s why, above all else, our team wants to provide the simplest experience for you. Don’t worry; you won’t have to wonder how things are going. Simply Sold is a business of trust, and we earn yours by providing custom scheduling and timelines, a team that treats your home with the respect they would their own, precise planning, and extremely clear, open communication. You will always be in the loop. 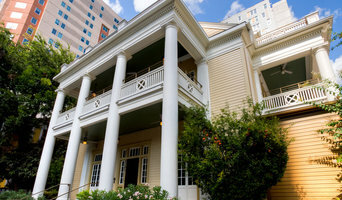 Your Austin-area experts in home renovation, repair and maintenance, we handle jobs of all sizes, whether you're planning a major renovation, or just need a handyman to fix a leaky faucet, we'll help you get it done quickly, affordably, with high-quality results and some of that local Austin flavor you can't find anywhere else. When it comes to home repair and renovation - we do it all! Additions and Upgrades, Remodeling and Restoration, Cabinets, Counters and Vanities, Custom Carpentry, Decks, Patios and Porches, Demolition, Doors and Windows, Drywall Repair and Texture, Electrical, Fireplace Surrounds, Flooring, Landscaping + Drainage, Make-Ready, Painting and Staining, Plumbing, Power Washing, Shelving and Storage Solutions, Sheds, Pergolas and Pagodas, Custom Tile, Full Home Renovations, and much more! Double R Builders is a husband and wife team. Collectively, we bring more than seven decades of management and residential building experience to Double R Builders with projects ranging from custom home builds, to kitchen remodels and large additions. It is our mission to bring fine design and quality energy sensitive construction at the best price possible to every home they build. We take pride in paying attention to the details. No matter what the budget, our work is always where luxury meets affordability. This attitude has twice earned us builder industry awards and recognition, along with an Energy Star rating on our latest custom and spec home. 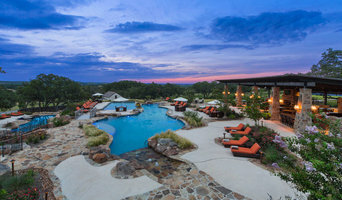 We are a General Building Contractor located near Austin TX. We service the surrounding Hill Country areas near Austin. We specialize in custom room additions, remodeling of kitchens and bathrooms as well as building new homes.